REVA University and Analytics India Magazine presents the ‘Data Science Demystified’, an AIMINDS monthly data science meet-up. Starts 10 AM on 24th Nov 2018 at REVA University, Bengaluru. CLICK HERE TO REGISTER. REVA Academy for Corporate Excellence (RACE) at REVA University offers a One-year PGDM/Two-year MBA programs in Business Analytics in Bangalore. Business Analytics program is designed to cater to the growing need for high-quality leaders with great insights and decision-making skills. Organizations that make decisions based on timely and accurate data consistently outperform the ones that don’t. With today’s technologies, companies are able to collect petabytes of data quickly. Business Analytics tools and techniques help fast-rising executives to improve their decision-making capabilities and in turn compete more effectively. According to Thomas Davenport (2007), high-performance companies have leaders with high analytical skills. However, the challenge is that most of the organizations have more data which they can’t or don’t know how to handle. REVA University’s executive PGDM/MBA in Business Analytics program is meant to bridge this gap. Provide in-depth knowledge and skillsets on relevant Software Tools and Business Analytics framework across Industries to enable Business Decision-Making and Problem Solving abilities using Data/Big Data. Build strong career opportunities as Business Analysts and Data Scientists. REVA University’s PGDM/MBA in Business Analytics for working professionals in Bangalore focuses on data-driven business decisions and business impact. The program incorporates latest trends in Data Analytics techniques and tools in business education using experiential pedagogy. At the end of the program the participants will be able to understand Descriptive, Predictive, Perspective and Cognitive Analytics in real-life scenarios. Understand Descriptive, Predictive, Perspective and Cognitive Analytics in real-life scenarios. Deploy relevant software packages like MS- excel, Solver, Tableau, Qlikview, Python, R, SAAS, SPSS, IBM Cognos BI, Cognos TM1, Big Infosights and IBM Watson. Manage and lead the team of Data Scientists across industries such as E-commerce, IT Services, BFSI, and Healthcareetc. to solve the business problems. On successful completion of the program, placement assistance will be provided with recruiters ranging from IT, E-commerce and telecom. Data Scientists with decision making skills are most sought after by organizations irrespective of their size, sector and nature. Various career opportunities are available in customer relationship management, e-commerce, enterprise resource management, content management, computing, etc. 12–Months weekend PGDM course with 54 credits. It includes induction program, foundation courses and core courses with Capstone projects. 24 Months weekend MBA Program with 94 credits includes Induction program, Foundation courses & Core courses with CAPSTONE projects. 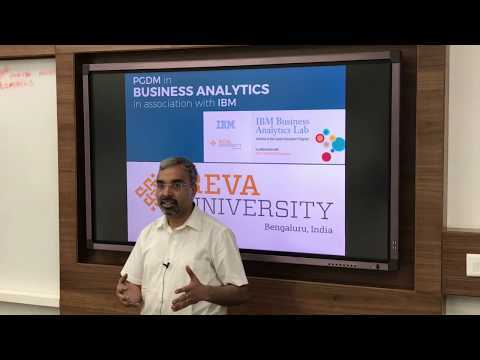 The PGDM in Business Analytics for working professionals by RACE at REVA University in collaboration with IBM is truly a fantastic course! The curriculum is tailor-made to acquire an in-depth knowledge of various techniques in big data analytics. We have some of the most experienced trainers from the industry who delivers the modules with live examples from their own domain. This program has truly enhanced my thought process towards solving a business problem using data. 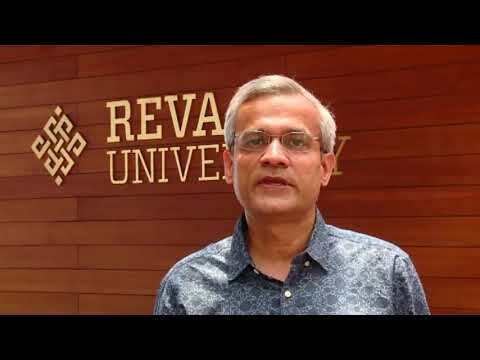 I was first attracted to REVA University by two things: Firstly, its world-class Analytics LAB, equipped with IBM tools (Cognos, TM1, Infosights, SPSS, IBM Modeller and Watson) and open source tools like R and Python; secondly, by industry practitioners as a trainers. I was interested in Business Analytics for some time but knew very little about it, so every module was a new learning experience. I think the dissertation was the best part as I liked dissecting the topics with arguments and ideas, analyzing and figuring out how it all fits together and developing my views on the issues. Even though it was challenging, overall it was extremely fulfilling and rewarding! Coming from Telecom background, we deal with a lot of data but I didn't realize the value of the data. During this program, my perspective of seeing data/business problem got changed. Now I am working on two projects both are initiated by me in my organization. I realized that REVA was the best option for exploring and learning analytics. 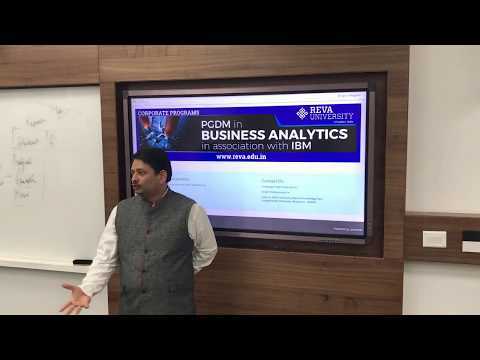 PGDM in Business Analytics from REVA University is one of the best courses available for working professionals like me who want to pursue a career in Analytics. The overall curriculum is very well designed in consultation with experienced Business Analytics professionals and academicians to cover all the major topics that will help us make a mark in the Analytics world. All the faculty members for each of the modules are industry experts with many years of experience. Just interacting with all of them from various backgrounds give us different perspectives and is an invaluable experience in itself. Overall, a brilliant initiative and I am proud to be a part of this program! REVA University and REVA Academy for Corporate Excellence (RACE) have provided a wonderful platform on Business Analytics concepts and tools through practical approaches. Being an M.Tech graduate and in development for 10 years, I was a bit worried how do I learn the new things. Thanks to all the mentors and trainers who are industry leaders in Analytics for enabling my journey enjoyable. This program has provided me a great platform to step into the world of Business Analytics with confidence! Senior Engineer, Rakuten India Inc. In an age where the internet has an abundance of courses offered on Big Data Analytics, Data Science and related fields and I had my doubts whether I should invest my time and resources on such a program. But today, I know that the original program content which impressed me to join the program was just the tip of the iceberg, the program actually has a lot more to offer. The feedback and guidance that I am getting from the instructors and the confidence that I am gaining is remarkable. The experience in participating in the PGDM program at REVA University is one of the most memorable turning point for me. The program is quite demanding and challenging and pushes you to do your best. I have to thank everyone who is involved, who are eager to learn and teach and are experts in their fields. I recommend this graduate program to those who set their hearts on Data / Business Analytics. "One of my friends referred me to the RACE program and my so far experience in the program is really good. The program has excellent contents and incorporates relevant real-life scenarios. The great diversity of the batch makes it more interesting to learn and collaborate and provide me with new perspectives. The best part is I am able to enjoy the learning despite of such a busy work schedule"
The course is well structured and focused towards next-gen Data Science technologies. One of the main advantages is the blend of classroom & online training which is useful for professionals like me. The course is very pleasurable and I would recommend it to anyone who wants to make a career in Business Analytics & Data Science. I am so grateful to REVA University & all the faculty and amazing instructors for organizing such a wonderful program. The critical thinking emphasis at RACE in a collaborative, supportive learning environment equipped me with a solid foundation to begin my career in analytics. The program is providing me an in-depth understanding of applying analytics in various sectors like supply chain, finance, marketing, retail and text analytics. I also got good hands-on exposure on open tools like Python and R and various proprietary tools from IBM and other partners. The senior faculty mentors, from industry, bring in real-time learning to each of the sessions.